Here at Beaver Spin, Inc., we know a thing or two about a good fishing product when we see it. So when we say that we've really found something special here in Beaver Spin's line of handmade fishing lures, we mean it. 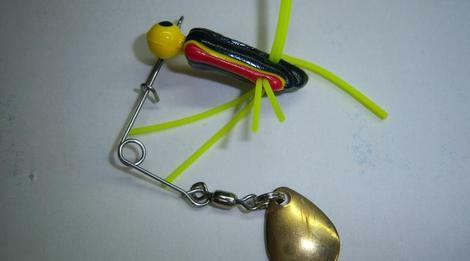 Started in 1976 by Mr. Fred Owenby, Beaver Spin's line of fishing lures has the sort of personality that you just don't find being mass-produced. From the beginning days when Mr. Owenby and his family hand-crafted each individual piece, to today, when each piece is carefully assembled in Metter, Georgia, the Beaver Spin line has maintained a standard of excellence and a dedication to quality craftsmanship that is hard to beat! But don't just take our word for it! With our affordable prices, and quick shipping, often same day, there is no reason to not give these great lures a try! To learn even more about this spinning grub, and what it is that makes them some of the best pieces of fishing tackle we offer, just check out our 'About Us' page. To find out more about the varieties we offer, from curly tail, to split tail, to even a basic fishing grub just take a look at our 'Products' page. Don't wait another second to find out more about these great lures, call today and let us show you what makes them so special. We have recently added the McCorkle Riverspin to our line of products. Each color is available in 1/6 and 1/8 oz size. They come 6 per pack. Each is individually wrapped.